Throughout history there have been many apparitions. Jesus and Mary as well as the Angels have appeared to many people. This page will give you some information about these appearances and the messages that we have been sent through these apparitions. 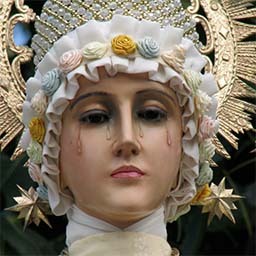 The information pages in the links here are just summaries of some of the popular apparitions. When St. Max was a boy, he was praying before a statue of Mary when she appeared to him handing him two crowns. A red crown represented martyrdom, a white crown represented purity. She asked him which he would take, he replied that he would take both and so it happened. 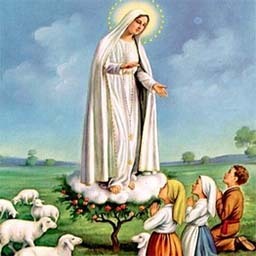 In Fátima, Portugal, Mary appeared to three little children: Francisco, Jacinta, and Lucia. 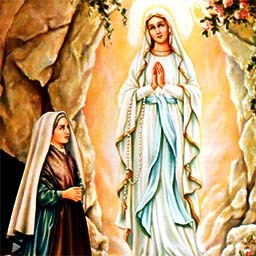 Mary appeared to a 14-year-old girl, Bernadette Soubirous, in Lourdes, France. In this apparation, Mary revealed herself to Bernadette as the "Immaculado Conceptiou," (the Immaculate Conception). 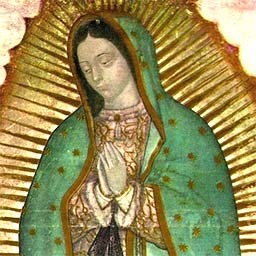 In Guadalupe, Mexico, the Blessed Mother appeared to Juan Diego, an Aztec Indian who had converted to Christianity. She left to us the beautiful tilma with Her image on it. The original tilma is located at the Basilica of Our Lady of Guadalupe in Mexico. In La Salette, France, the Blessed Mother appeared to two children on a mountain, telling them to pray, return to Mass, and observe the Sabbath day. The missionaries of Our Lady of La Salette continue to announce this message to the world today. 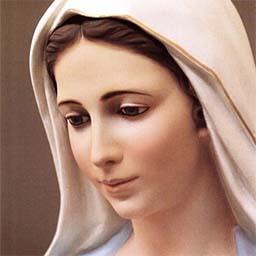 The Blessed Mother is reported as appearing in Međugorje currently. 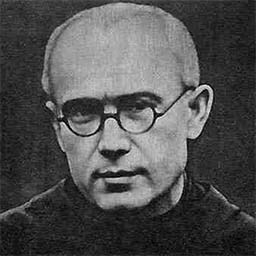 These alleged apparitions have been investigated by the Church and the Church currently holds a neutral position on these apparitions. As with any apparition that is pending approval or disapproval, this apparition is very controversial. The Church maintains its neutral but cautious approach while dealing with this apparition. Ivanka Ivankovic & Mirjana Dragicevic, et al.